Occurrence Volvox is freshwater algae. It makes water green. It appears in the spring. 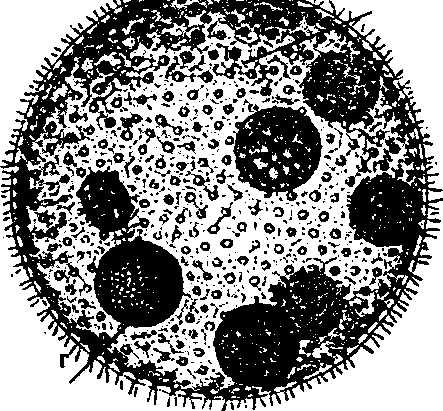 General structure Vegetative structure Volvox forms colony. The colony of volvox is called coenobium. It is spherical in shape. Each colon v has number of cells from 500 ton 50,000.